Virto B-Titanium is custom-made to fit perfectly in your ear. It’s made from the high-tech material titanium which makes it incredibly strong, light and durable. It is the smallest Phonak hearing aid ever. It is so discreet, that nobody will see how well you hear. Virto B-Titanium features AutoSense OS. It adapts simply to every sound environment automatically for excellent hearing performance everywhere. There is no need to manually adjust the hearing aids. 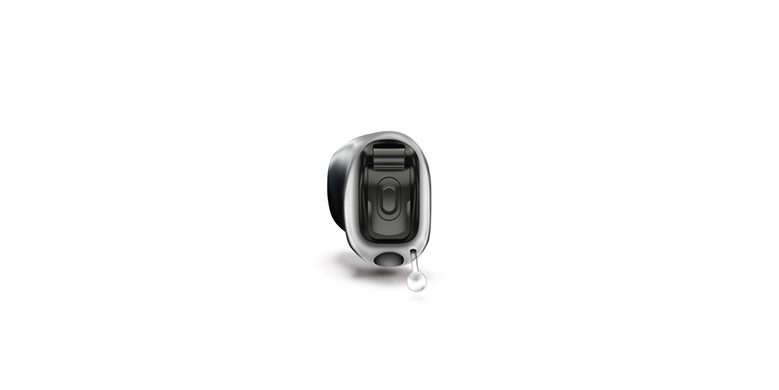 By incorporating a high-tech material for Virto B-Titanium, Phonak has created hearing aids that reflect our passion for innovation and ingenious engineering design that combines performance, functionality, and aesthetics. Phonak Virto B-Titanium is available in multiple performance levels, to help you meet your hearing goals.